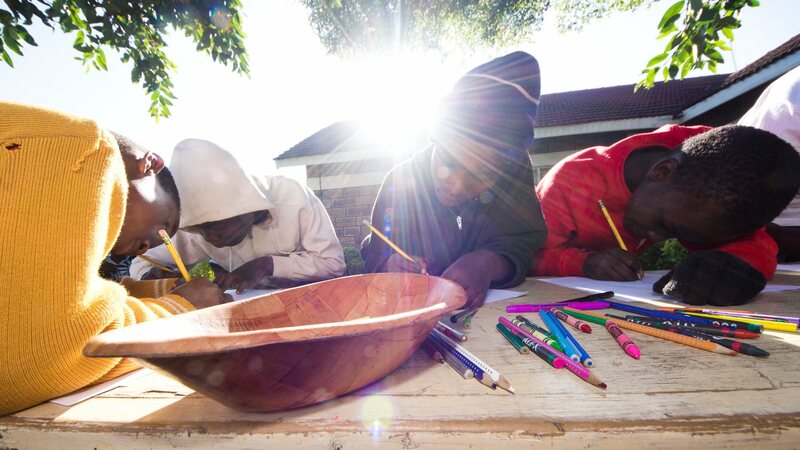 Kids in Nakuru doing a Shoe4Africa Art project. We’re based in Harlem, Manhattan, NYC, and in Eldoret, Kenya. We keep a virtual office in NYC (to keep those expenses at zero), and have an office at the hospital, in Kenya, in a 100% donated space.